I guess every one of us has an idea of what a broken heart feels like. The loneliness, the confusion, the anger and despair, and the chronic feeling of emptiness, are all states our society is already used to. Maybe the fast-paced rhythm of our lives, our focus on careers, jobs and financial independence has diminished our love interests. Or, maybe we have just become more superficial due to fast hook-ups on the internet. Maybe we forgot how to love, or maybe we are just not willing to risk our emotional wellbeing by allowing someone to become part of our lives. Maybe our standards are too high, maybe we expect too much of someone and give almost nothing in return, or maybe we feel entitled to live a fairytale love story and end up not making any effort to really get to know and fully accept another human being at our side. Or, maybe we are afraid of being abandoned or rejected by someone we have feelings for — all of us being caught up in this neverending, absurd, non-realistic partner chasing. But when we do break down our ice-cold walls, when we accept another fellow human to enter our hearts, when we easily sacrifice our needs for someone else’s, we learn to love. And there is nothing more beautiful and fulfilling than love. But there is an unforeseen disadvantage to it, and that is called the broken heart syndrome. First described in Japan in the ’90s, this curious condition is not yet fully understood. What scientists know is that it’s triggered by powerful emotional and physical stressors and it affects the heart muscle, which loses the ability to contract normally. The disease is known by many names: stress cardiomyopathy, Takotsubo cardiomyopathy (from the Japanese word takotsubo –“octopus trap,” because the left ventricle takes on a shape resembling a fishing pot), or apical ballooning syndrome. Even though it was first described in men in Japan, the condition affects almost exclusively women (90%) past the age of 60. Menopause is thought to be a serious risk, estrogen levels dropping significantly during this period. Research shows that up to 5% of women evaluated for heart attacks actually have this disorder. Studies carried out on rats whose ovaries had been removed, showed that the ones given estrogen while under stress had less left-ventricle dysfunction and higher levels of some heart protective-substances. Doctors think that high levels of stress hormones (for example, adrenaline) affect the heart, triggering alterations in heart muscle cells or coronary blood vessels (or both) that prevent the left ventricle from contracting effectively. The symptoms perfectly mimic a heart attack. Luckily, most cases have a full recovery but there are some fatal ones. Its love-linked reputation is also real. The death of a loved one, love quarrels, domestic violence, divorces, even break-ups, have been reported as emotional stressors. Other stressful events, as anxiety, public speaking, financial loss, illnesses or accidents, severe pain or even surprise birthday parties have been identified as triggers. 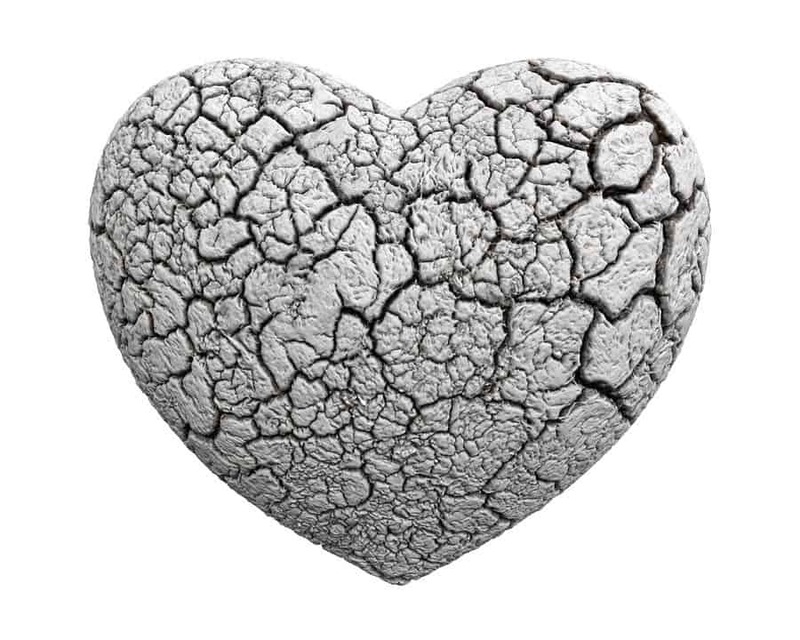 I don’t know if we’ll all be so lucky as to find our one true love, or if this concept really exists, but I think broken heart syndrome can also be a metaphor for the fragility of the human soul.